It can't be time for Christmas cookies without making time for the traditional cutouts. 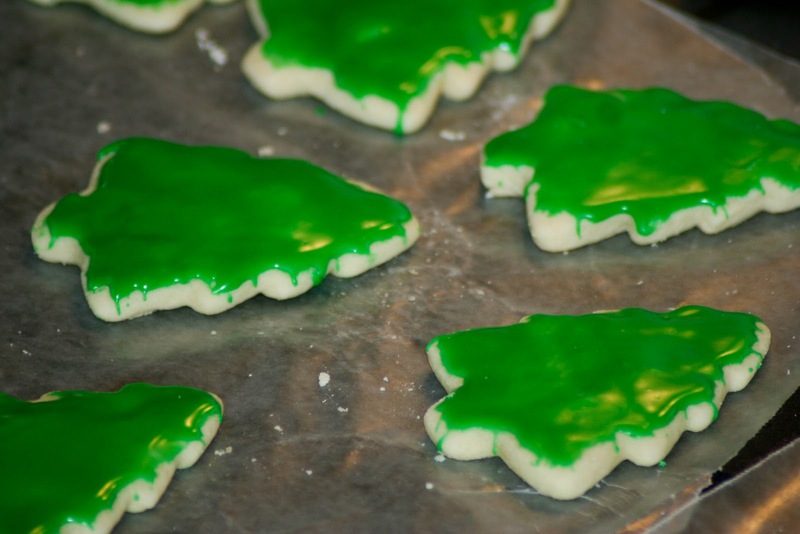 I have to be honest; I love these cookies, but I hate the mess, and the length of time they take. 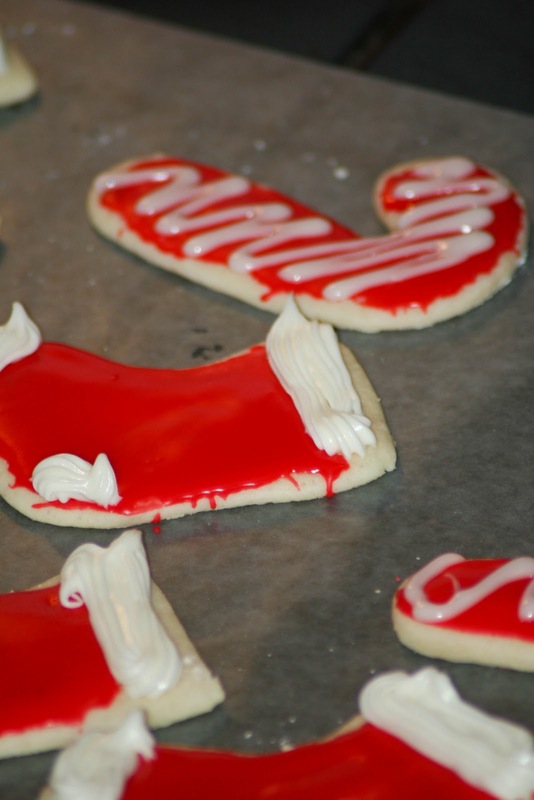 And I know the mess has yet to get bigger; these are a kid's favorite mess to make during the holidays. Sprinkle-covered floors or not. And lets be real-I'm no cookie artist and I have no patience to learn the ins and outs of correct icing techniques. 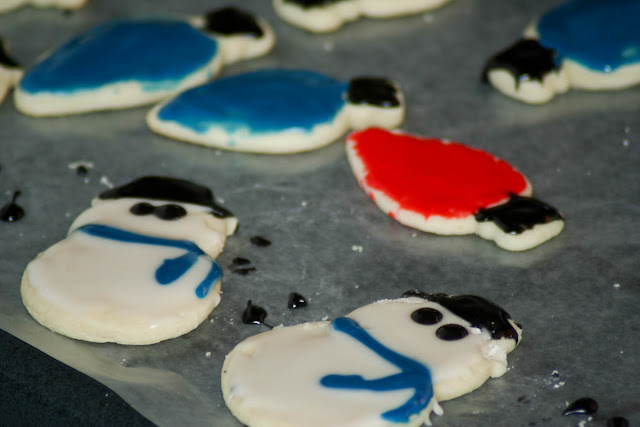 They're all going to be eaten-I'd hate to end up with masterpiece cookies that no one gets to appreciate. Cream the butter and sugar together in a large bowl until light and fluffy. Beat in the egg and vanilla. Gradually add flour. Divide the dough in half and refrigerate for two hours or until easy to handle. I refrigerated the dough overnight and it worked out well. On a lightly floured surface, roll out one half of the dough (1/4" thickness). 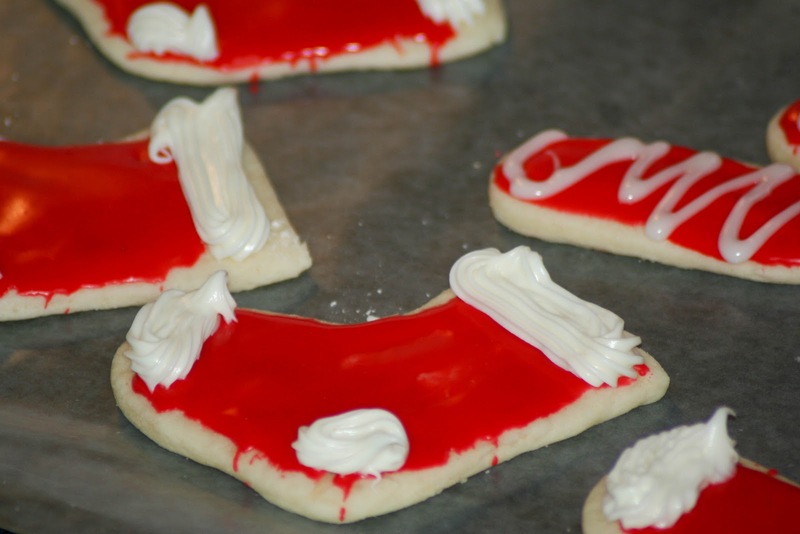 Cut with floured cookie cutters and place on ungreased cookie sheet. Bake at 375 degrees for 5-7 minutes or until set. 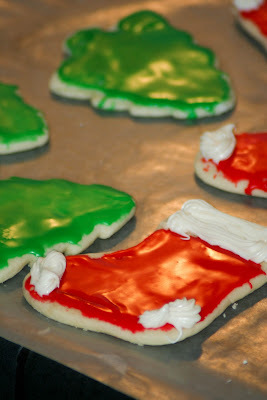 I used this icing recipe, doubled to cover the cookies (except for the white trim on the stockings-I used cream cheese frosting for that).